USAG Forms were due June. If your child's form has not been filled out, please see the office. CTA Account Deposits are due no later than July 1st. with a 27.850 and 5th all around. 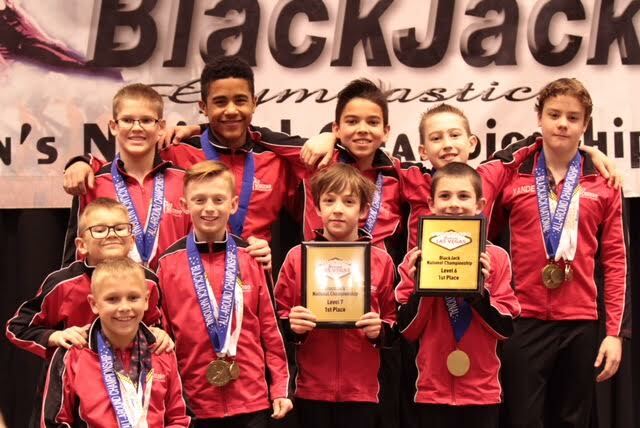 The boys rock on "Black Jack "
10 boys -6 all around champions 2 second and 2 third. Congratulations to our Seniors for all their accomplishments!! Congratulations to our High School Senior Danny Lasenbby!!! Click here to link to USA Gym news.